As proclaimed by President Obama in 2014, March 31st is a federal commemorative holiday to honor and celebrate the life and legacy of Cesar Chavez. New Mexico seeks to establish a holiday in remembrance of him, as well as the legendary, late Representative and Senator Dennis Chavez. 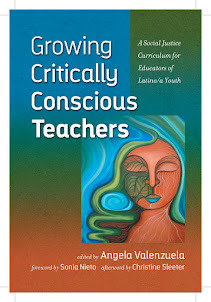 Teachers, check out California's Model Curriculum on César Chavez and consider incorporating a unit into your social studies curriculum if you haven't already. Science and health teachers could also incorporate César Chavez into units on nutrition, agri-business, and the food that we eat. California also provides many resources for teachers and the public that you should check out, as well. I shudder to think of where we would we be without our social movements and without the courageous and visionary leadership of people like César Chavez, Dennis Chavez, and Dolores Huerta. 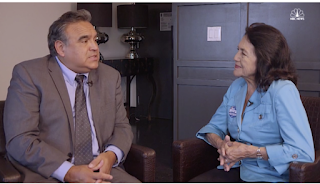 And we're fortunate to have Dolores Huerta with us still, fiery and passionate as ever. I have yet to see her documentary, but I hear it's great and am happy to share this excellent story about it that appeared in The Guardian titled, "'Yes we can': Dolores Huerta, architect of slogan, gets the spotlight in new film." No other individuals are connected to New Mexico quite like these gentlemen who "preached civil rights and social justice,” said New Mexico Rep. Garcia. ALBUQUERQUE, N.M. — A state lawmaker is proposing a state holiday in honor of the late U.S. Sen. Dennis Chavez of New Mexico and the late farmworker union leader Cesar Chavez of California. New Mexico Rep. Miguel P. Garcia has pre-filed a bill that would designate the first Friday of every April as “Dennis Chavez and Cesar Chavez Day” to honor two Hispanic figures who played a key role in Latino civil rights. The proposal comes 17 years after New Mexico voters rejected a constitutional amendment to create a state holiday in honor of Cesar Chavez. But Garcia said he decided to try again to push a Chavez holiday because New Mexico now has a more diverse state Legislature and he believed the new governor would be receptive. Tripp Stelnicki, a spokesman for Gov. Michelle Lujan Grisham, said the governor has not reviewed the bill. Around 49 percent of the population in New Mexico is Hispanic. The New Mexico-born Dennis Chavez served in the U.S. Senate from 1935 to 1962 and earned a reputation as a defender of Mexican-American civil rights. During and after World War II, Chavez held highly publicized Senate hearings in Washington, D.C., to take testimony from returning Mexican-American veterans who were being denied job opportunities and housing over their ethnicity. The Yuma, Arizona-born Cesar Chavez co-founded the United Farm Workers of America with Dolores Huerta. The pair organized boycotts and strikes to push for better working conditions for farmworkers. 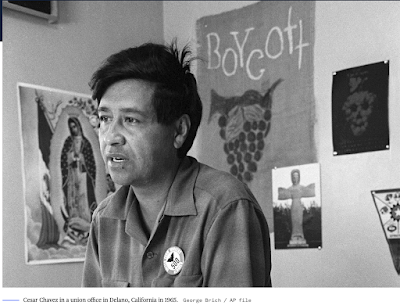 Chavez spent most of his life in California but galvanized Chicano students in the late 1960s and early 1970s with his call for better farmworker wages. Chavez and Huerta attracted the support of U.S. Sen. Robert Kennedy of New York, who visited Chavez when he broke a hunger strike. Garcia said he didn’t include Huerta, who was born in Dawson, New Mexico, in the holiday proposal since Huerta, 88, is still alive and active in many causes. 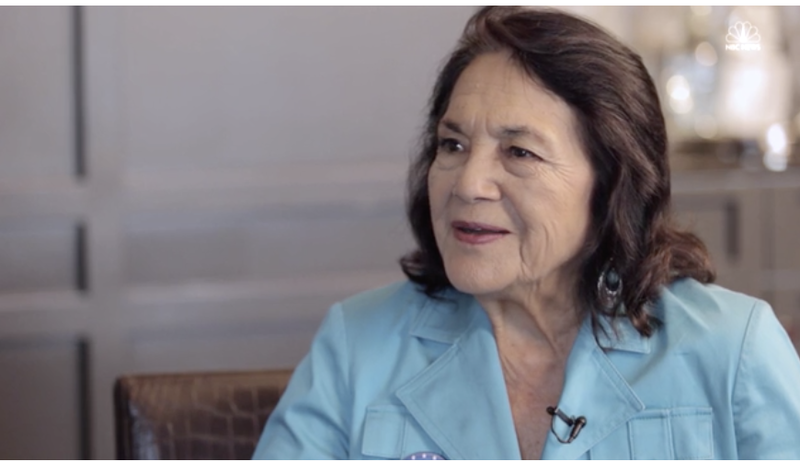 Critics have often charged that Huerta’s contributions to the United Farm Workers regularly get ignored. However, Garcia said he supports the idea for the state to place a marker near Dawson to mark the place of her birth. “We need to do more to honor our heroes all around,” he said.